In 1987 I had the privilege of recording with bassist Mike Cassidy on ‘Untitled no.3’ the opening track off my second release, Resonance. Ever since, I’ve been haunted by the sound of fretless bass, eventually defanging my Fender Precision (more on this later) to get closer to that mysterious tone that is both ethereal and earthly. 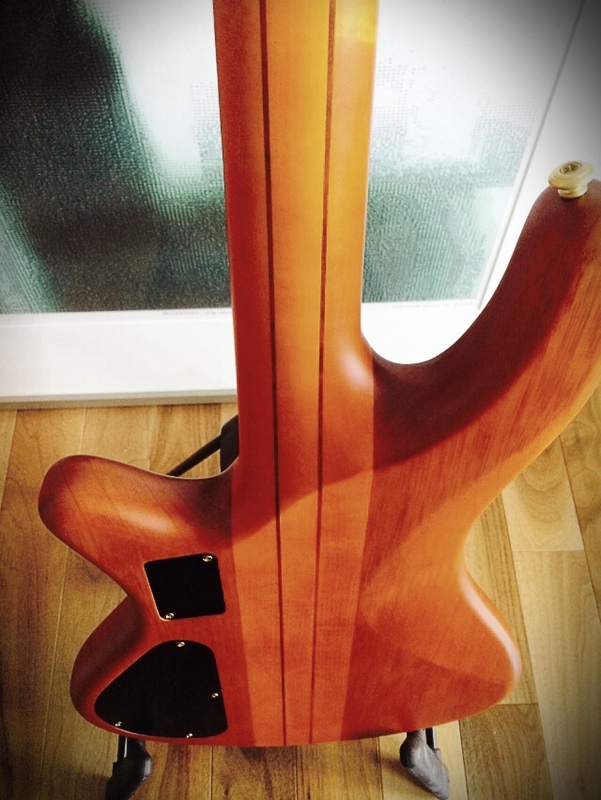 My reason for getting a neck-through bass was two-fold: although much debated, the word is that they are somehow more resonant because they eliminate that joint between body and neck allowing the standing wave vibrations a more consistent medium. Secondly, the construction eliminates that abrupt rectangular bump seen throughout all Fender type bolt-on necks that stops your hand from reaching the higher notes. 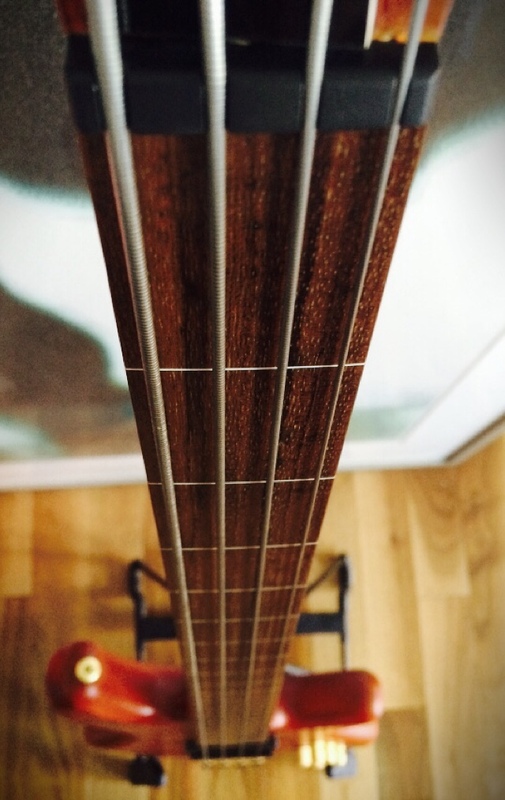 The main drawback of cheaper fretless basses like the Stiletto is that they usually still have fret lines, although they’re ground flush and smooth to the fretboard. Although it makes no difference in producing that beautiful round ‘mwah’ sound, it doesn’t have that sublime visual beauty of a dark, infinite fretboard where anything seems possible. This didn’t matter to me that much because I was hoping to make the Stiletto my go-to live bass, and the lines would help me play in tune without too much shoegazing. So with its stellar build quality, how does the Stiletto sound? As a solo instrument, its full and throaty, but as part of an ensemble, this same tone is problematic to say the least. Here’s a simple analogy: Even though baritone and tenor saxes have many notes in common, the same note played on a bari has more rumbling fundamental vibrations that mix with its high-register grit. In this light, the Stiletto is like a tenor rather than baritone sax. No amount of fiddling with the tone knobs or boosting the bass on your amp will be able fill in the deep lowest harmonics. This for me was a deal-breaker as in a band situation (other than maybe a 3-piece), the Stiletto just gets buried. The only workaround is to turn up the volume, but like a bad mix, this just causes the mid-range tones of the bass to sit on top and overcrowd the balance. One might argue that this lack of low end could be a problem with the EMG-Hz pickups, but if you pluck an open E on both the Stiletto and a Fender P-bass strung with the exact same brand and weight of strings – without even plugging into an amp, you can feel the way the note resonates (or in the Stiletto’s case doesn’t resonate) the guitar. I am surmising that the relatively heavy mahogany body mixed with the walnut and maple neck don’t play well with each other, dampening certain key frequencies. Ironically, this is made more apparent with a neck-through design, since the construction joins all the materials into one. Beyond this fundamental flaw in physics, the active electronics, beautifully represented in a satin finished set of knobs, lack musicality. The bass tone control acts more like a low-mid-range roll-off (see above). The mid-range tone is most useful in that it can dial in the voice-like sweet spot which admittedly is very rich. The major culprit is the treble control, and here’s where I blame the EMG’s. It boosts the pickup’s unnatural and abrasive frequencies that sit around 1.2kHz, making your teeth ache rather than ears sweeten. At first blaming the strings, I tried 3 different types from flat, semi-round, to round, but the inherent high frequency harshness in these pickups could not be overcome. Meanwhile, rolling back the treble merely deadens any sparkle and cuts out the essential fretless growl. Adding insult to injury, the pickups have a dirty high-frequency hiss, which is not too bad with the treble at the 0 position, but which gets greatly amplified by the specific frequency range of the treble control. My conclusion is that the Schecter Stiletto is a beautifully crafted project that nonetheless is not thought out well enough to be an instrument. It follows the right blueprint in terms of its neck-through construction and looks, but the combination of its tone-woods and components do not work synergistically: It is less than the sum of its parts. 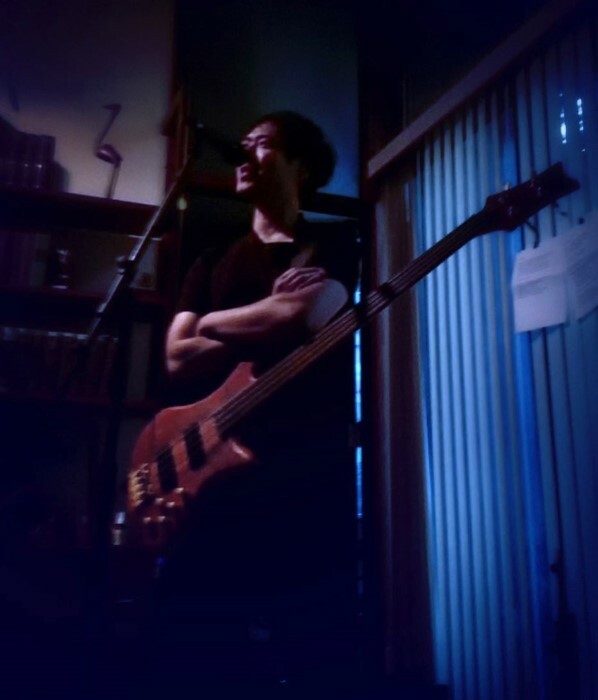 Due to its impeccable looks (and feeling some allegiance to its Korean origins), I tried and tried to make it work, even using it for the recording and live show of the metal-infused band, Serpent’s Exile. 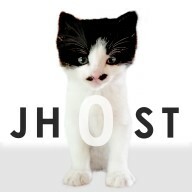 After the demise of the band, however, I sold the Stiletto to an ambient experimental musician. It exactly fit his bill as he was looking for a solo bass that he would play with a modified e-bow.